LMRC is NOT affiliated or linked with any political party or grouping. The reinstatement of the Leven rail link has cross-party support, and widespread support from all sections of the local community and beyond. We reserve the right to criticize and hold accountable any official body or elected representative without fear or favour. Our SOLE interest is in reconnecting Leven to the national rail network. 1. Why is the rail link justified? For local people to travel for work, study, shopping and leisure, to draw in more visitors to the area, and to carry freight to and from major industrial operators in Levenmouth. Passengers: A total of 51,837 people presently live in the catchment with plans to add a further 4-5,000 in the near future. Potential visitors from outside the area could double this potential traffic for the beaches, for local attractions (like Kingdom of Fife Rail Preservation). Levenmouth is the largest urban area in Scotland – by far – with no direct rail link. (http://www.railbrit.co.uk/schemes/possible.htm). According to the latest KnowFife data, the Levenmouth Area has a population of 37,824 and the adjoining Largo and East Neuk a population of 14,013 = a total of 51,837. The Strategic Land Allocation and local Plans for Levenmouth include building another 1,650 houses, swelling this population by a further estimated 4-5,000. Freight: There is very significant potential for freight traffic, taking goods off the inadequate roads serving Levenmouth. 1 mile of the line (Thornton to Earlseat) is already open since 2012 and transporting coal, thus the key mainline connection is already established. Cameron Bridge station adjoins Diageo’s Cameron Bridge Distillery, the largest in Scotland and is 1.4 miles from Diageo’s major Leven bottling plant. Multi-user rail freight facilities are proposed for this site with dual rail line for loading. The line continues intact to Leven (adjoining Sainsbury), and thence to Methil Docks adjoining the Fife Energy Park. Improved accessibility would support the employment opportunities at the 55-hectare Energy Park Investment zone, as well as the proposed Low Carbon Investment Park, Methil Docks Business Park and Fife Renewable Innovation Centre by providing access to wider labour market. It will also support the workforce for existing employers such as Diageo, NHS Fife, James Donaldson & Sons Ltd, Silberline and Pfaudler-Balfour Ltd. Major logistics company Malcolm, responsible for all Diageo movement, is strongly in favour of rail reconnection and have sought to reinstate services in recent years. They operate a Rail Division and stae they would wish to ship 60% of Diageo input and output to and from Levenmouth by rail. Finally, there are opportunities to support approximately 150 farm holdings in central-east Fife growing 2,500 ha of fruit and vegetables and fruit to supply UK supermarkets. Possibilities for supplying the huge Biomass plant at Markinch have been mooted. Overcoming deprivation and exclusion: In 2012, the Scottish Index of Multiple Deprivation (SIMD) indicated that 44.1% of the population in the Levenmouth Area reside in the 20% most deprived datazones in Scotland, with 18.8% in the 10% most deprived. Within Buckhaven, Methil and Wemyss villages the percentage of the population who are employment deprived is twice the Scottish and Fife average. Reconnecting the area by train will bring easier ways for people to travel to work and study, and encourage more visitors, trade and business investment in the area. Carbon reductions: Rail travel consumes almost 3x less carbon dioxide than small car journeys and 5x large cars. Reinstating the Leven rail link can help save the planet. Technical reasons: surplus rolling stock will be available from the completion of Edinburgh-Glasgow electrification in 2017. Scotrail also require depot facilities in Fife for `parking’ trains for Fife Circle services which this branch section could easily provide. Next in line? The Transport Minister speaks of a rail revolution in Scotland, and several major new rail links have been or are being created (Stirling- Alloa, Airdrie-Bathgate, Larkhall- Milngavie, Edinburgh-Tweedbank) as well as many stations reopened on existing lines). With these projects completed, there surely is a case for decision-makers to look at the next options for reconnection. If major urban areas such as Levenmouth are neglected, this questions the credibility and commitment of government and rail authorities. A meaningful rail `network’ would not leave major urban areas unconnected. 3. Would a rail link help or hinder other transport connections to/from Levenmouth? Road connections to Levenmouth, especially from Kirkcaldy, have limited capacity and inadequate. Even generally good bus connections are reducing – the bypassing of Buckhaven, Methil and Wemyss villages by the Glasgow express service. As roads become congested and parking in towns more expensive, Levenmouth residents need better travel alternatives. 31% have no access to cars. The Feasibility Study (STAG Part 2 Appraisal) conducted by experts in 2008 stated “the best performing option is to reconstruct the railway along the existing alignment – that is the re-opening of the existing rail alignment, plus two stations at Leven and Cameron Bridge and rail freight facilities. The estimated cost of this was £48.05 million. An extension of the hourly Kirkcaldy Service would produce the highest benefit-to-cost ratio (BCR) at 1.50 (ie £1.50 return for every £1 invested). This would produce circa 349,000 passengers per annum at 2016 rising to circa 380,000 passengers per annum by 2031. These journeys would come from switching from car and bus and do not include newly-generated trips as a result of improved rail connections. If services became half-hourly, the benefit to cost ratio would further improve. Note that all recent new rail links and station opened in Scotland have generated actual traffic several times that initially estimated. This option also meets most closely the three planning objectives identified by local stakeholders: 1) it improves access to key areas and services in both the Levenmouth and wider geographical areas; 2) it promotes the efficient movement of freight to and from Levenmouth and thereby encouraging modal shift from HGVs; and c) it encourages a more sustainable travel pattern for new and existing developments. 5. How easy would it be to reinstate the line? The Thornton-Leven line and it’s extension to Methil Docks is fully intact in terms of trackbed, bridges, and most rails, unlike many other disused lines where the former track has been converted to other uses, requiring costly repurchasing of land. 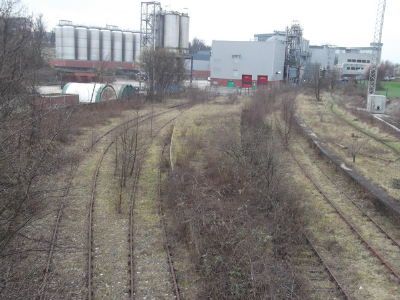 The line only `mothballed’ at present – it is still managed by Network Rail. The first mile of line from Thornton to Earlseat is, since 2011, presently in use to transport coal from Hall’s nearby opencast site. This means the connections between the branch line and the mainline are already established. The Fife Circle service which presently terminates at Thornton has already built into its current timetable the time required to make the return journey to Leven. The scale of investment is estimated at £76.6 million (2016 prices) – a conservative figure primarily for signalling, stations, clearing vegetation and upgrading – considerably higher than the usual rule-of-thumb estimate is £10m per mile. In terms of comparable recent transport projects in Scotland, this is a relatively modest sum (compare Borders rail-line & Airdrie-Bathgate both £300 million, Edinburgh trams-£700 million, new Forth crossing-£1.45 billion). With the completion of electrification of the Glasgow Edinburgh line by 2017, which requires new equipment, there will be plenty of conventional rolling stock available. 6. What stations will be opened and what train services will operate? Two stations will be re-established – Leven and Cameron Bridge. The Leven station site will probably be on land behind Sainsburys or close to Leven Swimming Pool at the town centre. but undeveloped land exists all along the corridor in Leven to Methil Docks. It is likely both stations would require park-and-ride facilities to encourage motorists and cyclists to use public transport. Leven would be connected to Glenrothes-with-Thornton junction (as part of the Fife Circle) This operates half-hourly services, involving journey times of around 1 hr 10 minutes to Edinburgh Waverley, 20 minutes to Kirkcaldy, 40 minutes to Dunfermline. By changing at Kirkcaldy, it should require no more than a 1-hour journey to Dundee or Perth. Rail connections allows Levenmouth residents easy access to the entire national rail network, the freedom to go anywhere we are presently denied. Note a new station is also planned for Edinburgh airport thereby allowing direct connections for foreign travel. 7. When would rail services be reinstated? Assuming the STAG appraisal in 2015 is positive, a realistic date for resumption of rail services Thornton-Leven would be the next planning phase from April 2019 (Network Rail’s Control Period 6) partly because investment priorities have already been set up until this date. However several experts suggest that, since the case is strong, there may be some possibility of earlier opening of the line. 8. Will this line extend to the East Neuk and St Andrews? This is unrealistic and unlikely so is not part of the Levenmouth Rail Campaign. Sections of this stretch are already built over or no longer intact while the small population along the line would not justify the scale of investment required. The stations at Leven or Cameron Bridge would therefore serve the wider southern East Neuk. 9. How can I get involved to support the campaign? Write your views and support to local and national newspapers. Suggest new ways to campaign for this worthy cause. A. What is the process for deciding and implementing the reinstatement? The process is rather complex and requires support from a number of authorities (Scottish Government, Transport Scotland, SEStran, Fife Council).However advice from senior politicians confirm that a strong local campaign is essential in demonstrating support and in forcing decision makers. Campaigns such as the Borders Rail line successfully overcame much greater obstacles. The line is operational between Thornton and Earlseat coal loading point; this section is used by regular trains of open cast coal. The line between Earlseat and Levenmouth is currently mothballed but could be brought back into use should traffic needs demand it. For passenger services to operate there would need to be significant investment to upgrade the line to passenger standards. At this stage we have not been asked to progress any plans to reopen this section. It would be for Transport Scotland to specify this to us, however, it is not part of their current requirements from us. Any such requirement would have to consider train service specification and funding. Transport Scotland (10 December 2013): The 2008 Strategic Transport Project review (STPR) sets out the Government’s transport investment priorities until 2032. Reopening of the Leven to Thornton rail line was appraised for passenger and freight services through the STPR, along with revised Fife Circle services connecting Buckhaven, Methil and Leven to the rail network. However these interventions were not recommended for implementation as the benefits are focused at a local and regional level whilst STPR was focused on national priorities. With regard to potential use of the line for freight, as part of my high Level Output Specification for 2014-19 to encourage growth in rail freight.. The fund will facilitate or contribute towards strategic infrastructure interventions on the Scottish network (which could include the proposal to reopen the Leven to Thornton line) to enable rail freight to deliver against these objectives. Anyone can propose a project through the fund, as long as it meets the fund criteria, is agreed by the board and has a robust positive business case. Fife Council leader David Ross (28th May 2014) I can assure you that the rail link is still supported by Fife Council and the £2 million contribution is still part of the capital plan. However Transport Scotland hold rail powers in Scotland and hence the scheme would need to be agreed by them and supported through the rail franchise. The scheme was not included in the final list of 29 projects in the STPR. Transport Scotland and the Scottish Government at the time considered that this project is more of a local and regional matter, rather than a strategic national one. Fife Council and SEStran at this time are looking to identify funding to carry out an update to the 2008 Levenmouth STAG (appraisal) as here are no plans at present to refresh the current STPR. An updated STAG will be presented to Transport Scotland with a view to them considering the provision of capital funding to make this project deliverable . The Levenmouth link would require both the agreement and financial support of Transport Scotland and Scottish Government to provide the funding to implement the project. A meeting held in August 2014 between Fife Council officials and the Minister for Transport/Transport Scotland was positive although the need for an updated STAG appraisal was stated. The commission of this appraisal, including £100,000 of Fife Council funding was agreed at Fife Council Executive Committee in December 2014. B. When and why did the line open and then close? The first railway line in Fife from Burntisland ->Cupar, opened in 1847 and rail traffic began replacing travel by steamship (Edinburgh to Largo) and stagecoach. Following the 1852 Leven Railway Act of Parliament, the Leven line opened on 5th August 1854 (160 years ago). It was extended to Lundin Mill 1857. In 1861, it amalgamated with the East of Fife Railway (the St Andrews railway started 1851, and was extended to Anstruther in 1863). The line was run by North British Railways from 1877, then by LNER from 1923 then as nationalised British Rail from 1948. It is presently owned and managed by Network Rail. Although the Thornton-Leven stretch was NOT recommended for closure under the Beeching Report, services across Fife fell victim to swingeing cuts to the branch line network which followed. The last train to run from Leven to Thornton was on 4th Oct 1969 (45 years ago). Note that some other branch lines survived across Scotland to much smaller towns (North Berwick, Balloch, Stranraer, Kyle of Lochalsh, Mallaig, Wick-Thurso. Freight trains continued on this line continued serving Methil Power Station (until 2001) – the heavy coal traffic required a high standard of trackbed which remains. Several campaigns to retain and reopen the line have run since 1969. The most recent was in 2008 when a local campaign collected signatures and MSPs debated the issue in the Scottish Parliament. A Feasibility Study (STAG) was conducted showing a positive appraisal. Fife Council set aside £2m as capital funding to support the scheme. Improve accessibility to and from central Fife and the East Neuk to Edinburgh & Dundee. To create a modal shift from the car to public transport. Increase social inclusion by improving access to key services for 31% of population without access to a car. To reduce the HGV kms into/out of Levenmouth and central Fife and reduce CO2 emissions. To prevent further decline in the central Fife and the East Neuk population by securing ready access to Edinburgh’s labour market. April 2019-March 2014 Rail link reinstatement included in the Network Rail Control Period 6. The current LevenMouth Rail Campaign (LMRC) was launched in April 2014 with good backing from local residents and elected representatives. LMRC has been active in promoting the case, organising a series of meetings, public talks, mobilising petitions and ensuring media coverage. Major progress has been made with Fife Council expressing strong support, and a new STAG feasibility study commissioned to be completed by end April 2015. Given the lessons of other transport projects, it remains vital that broad local support (from community, businesses, elected representatives) is maintained. Even with a compelling economic case, it is often political realities and pressure which determine transport priorities. So we need continuing activism and support to lobby the case (see FAQ 9 above).